Steve McIntyre on Fox news special tonight about Climategate | Watts Up With That? I mentioned a couple of weeks ago that I was interviewed in Toronto by Fox News when they were in Toronto for the Munk Debates (Dec 1) – Nigel Lawson and Bjorn Lomborg v George Monbiot and Elizabeth May (Green Party of Canada leader). It’s my understanding that they will be using some of this footage in one of the segments of the program tonight. They were extremely well prepared for the interview to say the least, even being acquainted with as small a nuance of the debate as the Starbucks Hypothesis. I suspect that I’m going to look pretty weary in the interview – I was in the process of going through the Climategate Letters, which are discourging even for third party readers. I think that the producers are trying to make the show more nuanced than the usual effort in this field (on either side). Not an easy task. “Can a scientist have a cup of Starbucks coffee in the morning, head to the mountains and do tree ring sampling, and be back home in time for dinner”? It was created in response to some scientists excuses that they don’t have the time or resources to update tree ring records or to take additional samples of some Colorado and California trees. 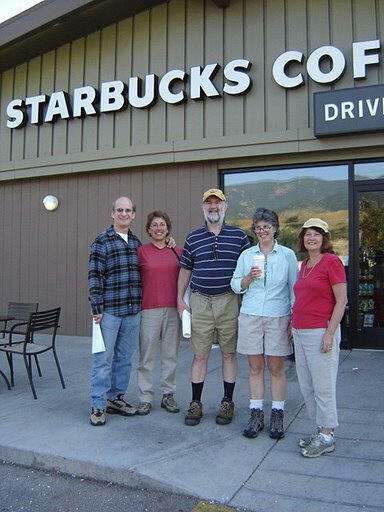 The premise of the hypothesis being that such USA sampling expeditions are easily within driving distance of civilization in USA today, represented by Starbucks. Steve demonstrates the proof of the Starbucks hypothesis here where he does his own sampling expedition, coffee in hand. It appears some scientists are just barn sour. December 20, 2009 in Climategate. Honestly, I kinda think those scientists are just more interested in expensive trips to exotic locales. Kinda like the classic high maintenance, gold-digging, b****y girlfriend. Will definitely catch the show today now that I know McIntyre will be on it. I’m surprised Starbucks didn’t call security. It will be good see ClimateGate evolve in the media beyond just talking about “Mike’s Nature trick” and Ben Santer’s threats. I really hope Steve has learned from the past interviews and is a lot more aggressive this time. Here is something That Jeff Id over on the Air Vent found and deserves wide distribution. Douglas and Christy have come out and plainly stated that the Team was engaging in a conspiracy and lay their case out in the American Thinker. They give you the background and uses the Emails to link it all together. It is just like Steve McIntyre’s putting the “trick” email into context. Why bother with the measurement, just go to Starbucks get the coffee and estimate the tree rings. Maybe there is a tree in the parking lot for authenticity. We know the answer so why quibble about the details? Good to hear Steve is out educating the world, only Fox seems to be interested. Actually “as small a nuance of the debate as the Starbucks Hypothesis” was not as small as you suggest, for it was what got a close friend of mine to take down his blinders, regarding to listening to a “denier.” Before the Starbucks episode he would have nothing to do with McIntyre, but the Starbucks episode convinced him that no one with that kind of sense of humor could be all bad. I am writing to Prime Minister Stephen Harper and Governor General Michaelle Jean to nominate Steve McIntyre for the Order of Canada. All you Canadian citizens out there are invited to do the same. For the service to the world in general, he should also be nominated for a Nobel (but I doubt that he’d accept). Next, those climate ‘scientists’ will have the excuse that it was raining … or too hot … too cold … or in any case too much weather going on, and too much ‘Nature’, to do their samplings. Starbucks was very important – IIRC, in response to claims that getting cores from Bristlecones Pines required serious planning and execution, Steve claimed he could start at Starbucks, head into the mountains, core the trees, and make it back in time for dinner. Let me go check for a link…. Hi folks. First great work and a sincere thanks. Next: I read the Saloman (sp) piece from the FP and I was surprised that he was surprised at the Wikpedia problems. Since the FP purports to cover the finacial world I would have thought they would be aware of the on-going battle of Patrick Byrne (CEO of Overstock.com) and his “project” at deepcapture.com. Byrne and some investigators/journalists he has hired detail the wiki abuse you showcase about climate change, only they are focused on financial fraud and in particular “naked short selling”. You will probably not be surprised to learn that they have encountered the identical pattern of posting manipulation to try and “convince” civilians that the crime occuring right before their eyes is not really happening. There’s more than enough material to keep you busy for a day or two. Hope you find it helpful, brothers in arms and all. I apologize for being off topic here but was unable to access the tips page. I think it is more the allure of being one of the most important men in the world. Imagine the feeling of “saving the world” in spite of all the nay-saying dummies. And when you realize that these guys are working mainly with statistics and computers and know damn little about either one — the trill of people looking up to you would be even greater. Alert level raised to 4 at Mayon volcano in the Philippines. Explosive eruption expected within days. More here. This eruption is expected to be much different than the last eruption of Mayon which was more of a longer, quieter eruption. This one is expected to be explosive. http://wattsupwiththat.com/2009/03/18/steve-mcintyres-iccc09-presentation-with-notes/ has a presentation from ICCC-09 with a lot of dendro results. While paleoclimatologists are attempting to update many important proxy records to the present, this is a costly, and labor-intensive activity, often requiring expensive field campaigns that involve traveling with heavy equipment to difficult-to-reach locations (such as high-elevation or remote polar sites). For historical reasons, many of the important records were obtained in the 1970s and 1980s and have yet to be updated. radio call in show, online stream here…. …..he usually has several people he interviews as well as taking calls over the 3hrs. I would guess he’ll address climategate. Way to go Pres. Obama. In being glaringly obvious in your prejudices, you may have just re-awoken the American Press!! The lengths some people will go to to try to prove that they are not funded on huge budgets by ‘big oil’. Is that 9pm in the uk? or elsewere in the world? If it goes up I wonder who will be the first to attribute the blame to AGWg – sorry – ‘climate change’. This is pretty incredible. A conspiracy between the Team and the Journal editor to distort the process to give the Team the upper edge in attempting to discredit the Douglas work. Interesting sequence of emails. Whoever put the CRU email files together knew where the smoking guns were. Also interesting that Revkin was involved. I wonder if he bothered to contact Douglas about their paper? Not likely. Must be quite a documentary – 1 hr long and a couple of weeks to put it together. I don’t think the warmists are going to like it. I have a feeling FOX is going to do a lot of EXPOSING (I hope!). Bret Baier special, “Fox News Reporting: Global Warming…Or Hot Air?” that airs Sunday, December 20 at 9 PM ET. Thanks John. Wow. ‘Conflict of interest’ does not come close to do it justice. What is the world coming to? We are governed by criminals. I might object to batting a cantankerous horse, but it sounds like appropriate therapy for some climate scientists, especially those wanting to take a poke at Pat Michaels. Fox should really stop trying so hard to be unbiased, and just be unbiased. They lean too far to the right just like many other news outlets lean too far to the left. If Fox actually were fair and balanced, they’d be fantastic. Unfortunately I think Steve appearing on Fox will do him more harm than good. Policyguy (11:38:51) :Whoever put the CRU email files together knew where the smoking guns were. I suspect each and every data and program file included in the “documents” folder, were also carefully chosen. this is transcript of a presentation Steve McIntyre gave at Ohio State. this opened my eyes up to the scam a few years ago. some of it is quite technical but it is worth printing out and sitting in an easy chair to get the complete perspective of the Mann/McIntyre controversy. Anthony must have seen this link by now, I was pasting it in notes and tips 10 hours ago. Maybe he’s keeping it up his sleeve to see if the U.S. MSM runs with it? I agree with you, up to a point. What the whole Climategate episode has demonstrated is the investment of credibility that most of the mainstream media have made in climate alarmism and the “scientific consensus” that is now shown to be near worthless. I would charge the Hockey Team and the IPCC for being the people most responsible for the renaissance of Fox News. I don’t think it matters too much to Steve McIntyre, a Clinton Democrat, because frankly his message about science is being heard loud and clear anyways. With the exception of some of their opinion programs, Fox only seems to be too far right, only because it is not all left all the time. Personally, I have abandoned TV news altogether, not because of their biases one way or the other, but because of the 24/7 coverage of non-news stories like Michael Jackson, Tiger Woods, Natalie Holoway, and a seemingly endless parade of other non-issues. If not for the internet, it would seem that nothing interesting is ever happening anywhere in the world. Oh dear, is this a “hide the decline” moment history has forgotten? A continuous climate record since 1951 at Niwot Ridge in the Colorado Front Range shows a decline in mean annual temperature, an increase in annual precipitation amount, and a decrease in mean daily solar radiation for the summer months. The more Fox is unbiased the more even the see-saw stays steady. The facts will play out for the best, ugly for the tilted interpretations of the data readers. No hockey sticks allowed. Both Politicians and the Media are dependent on popularity for their survival, as a consequence they both look for already existing trends to leap in front of to give the appearance of leading and shaping what’s actually going on. Given that they are essentially reactive to trends, they are a lagging indicator or metric of social trends. Given that belief in man made global warming (climate change) has already peaked and is now diminishing. (various refs are available on this blog). It follows that at some point the politicians and the media will swap sides as a matter of survival, and those that don’t will end up unpopular and out of a job. As evidence I would point to the recent shift in the Australian Liberal party from AGW endorsment to a more sceptical position. I.e the politicians are starting to jump to the new trend. The media are starting to open up the debate, since climategate, the whole question of the validity of AGW has resurfaced. Hardline politicians that are heavily invested are still preaching the old line. They are the ones most at risk of failing to capture the new trend. 2) He has more time to develop his points. 3) The editors are sympathetic. Christopher Booker and Richard North’s Telegraph expose of the IPCC boss’s mega conflicts of interest (full credit to John Mackie above) should be a sticky on this website. Period. Action this day, Anthony? I agree with both of you. It won’t matter much to Steve, but many will use his appearance on Fox as a mark against him, rightly or wrongly. FWIW, when reflecting on media bias, one must take note of the fact that many (most?) MSM outlets admit to having exactly zero non-liberal reporters. Why can’t people put OT stuff in the Tips thread??? I’m just going to wait until Bill Moyers decides to cover it. America is hungry for someone to talk to them about what they see & feel about them. Global Warming causes Global Cooling is as nauseating as it’s lame excuse tone sounds. We get the same impression from a kid who claims he wasn’t into the cookie jar while his hands, face and shirt are smeared with sugary stuff. Steve needs to do no more than tell America what’s been going on, and let the Warming Agendists do thier chocolate-smeared dance for all the good that will do. I hope that Steve has learned from the past interviews and is a lot more ‘robust’ this time. I have long held the view that extremists create their own opposition/backlash. Is Steve M wearing black socks with shorts? Good to hear Steve is out educating the world, only Fox seems to be interested. starts off with UN reps and their condescending attitudes…. finally, Medieval Warm Period in the media! The MSM is generally the last ones to figure it out when it comes to what’s up with the climate. Oh well. They were still hawking a new ice age when the Dust Bowl was going on. All the people I work with (and that’s about a dozen) except one look to Fox for information. And since Obama’s professor Gate’s fiasco, that lone outlier is coming around too, since he worked as a cop for 5 years. Don’t worry that Fox is otracized by the lefties–they’ve drunken so much Kool Aid about AGW that it would take a lobotomy for them to ever come around, and after such an operation of what use are they? Fox is the leader in news (right or left, it matters not); indeed, the other news outlets have been dragged kicking and screaming into areas their CEO’s would rather they not cover at all. Most are finally recognizing the fact that they fill only a minor role in the news business. Many are laying off people right and left because the Internet has educated enough people that they’re no longer buying their lies and, consequently, they’re no longer buying their newspapers. And since advertisers are staying away too, there’s less and less money with which to spread their lies (or ignore the truth). Mann, Jones, Wigley, et al, and EAU, are looking pretty bad. LOL Mann runs around and goes on CNN, writes articles for the Washington Post but ducks Fox and the rest of the team follows. The people watching see Ross, Steve and Pat Michaels not ducking the interview and the Team hiding and to alot of people that tells them that the Team has something to hide. Interesting, I’m watching it now and so far it has been interesting. One subtle but amusing point I’m noticing is that the host is standing outside in the dark with a heavy coat and gloves on while doing the setup for the interviews. He isn’t standing out in the blazing sun sweating while setting up the pieces. he’s his own worst enemy, eh? So how is that whole world government thing going for them, I wonder. Monbiot lied? How could you tell? Was it that his mouth was open?! If you google socks with sandals you’ll find dozens (!) more sites devoted to documenting this fashion faux pas. Glaciers are melting? These people are either deceiving us or naive, and how could they be naive if they are experts? Glaciers have been melting since the 1800’s! This entire movement is completely nuts, and they have so many people thinking that we can just do w/o fossil. It’s 16F outside right now, but I am warm inside because of oil. I drove my typical 50 miles today, all oil. This is all so crazy and sad. I agree most of the team ducking out of being interviewed for this doesn’t make them look better. wish they would have had Lindzen, Christy, Spencer, and Svensmark on the show. the UN reps and the Hockey stick are out in the sun and they looked bad in that light! Gotta say, this piece on fox is pretty fantastic, nice to see the MSM getting onn it! Electric cars are a “niche” industry. Most of us would not find it practical to have an electric car as our only car and most of us would not afford an electric car as our 2nd car, unless the Gov’t just handed us most of the price. Here are 30 cars. Fine for short trips, and I believe they are much cheaper to drive, but how do those batteries hold up in winter, how long do the batteries last? We will be paying the interest on the federal tax credits for the cars forever. Darn it all. The only FOX channel we get here in southern Alberta is KAYU in Spokane and they definitely did not show it at 6 PST or 7 PST .. 7 and 8 MST. McIntyre said that he believed in global warming. Perhaps he can explain, with a graph, what time period he has chosen. Monckton claims that he can show warming or cooling from the same data using statistics. In Horse terms a Bat is a short whip with a wide loop of leather on the end so it makes a loud popping sound. I would prefer the baseball type of bat when dealing with certain climate scientists. Much more effect in getting their attention sort of like a mule and a two by four. Very pleased, thanks to Fox News, wow. Maybe next week they will go into the investment corruption. Steve came across as so sane and unbiased, just excellent. Hey, I wore socks of all colors with sandals in New Zealand and was accused of being a German. Beats being an American there. Rife with conspiracy theories of all kinds. Nice job by Steve on the Fox presentation. Nice job by Fox, too. It was hard to tell what Baier’s position is, and that’s a good thing in my book. It could have been better in a detail here and there, but overall it was well done. Just watched the Fox piece. Steve you did a great job! The interview format is certainly easier than the “live, you get two soundbites” format. Overall, the piece was well done, with a few minor bits inaccurate. Quite interesting that Mann, Jones, and no others involved wanted to be included. It did cover the skeptic side well, but wasn’t overly biased. For the record, I read MSNBC and Foxnews and try to figure out what’s really happening. Yes, Fox does have some far right leaning shows, but this was well done. I’m still a bit shocked that it took a MONTH for any MSM outlet to run a full length story on this topic. But yes, it finally happened. A month ago when Climategate broke, I told my wife, “This is big!”. I don’t think she really believed me until tonight. And by not being interviewed they don’t look worse. Good journalism. Quite a difference from the thick syrup of poorly staged opinionated claptrap put on by the CNN special that also ran tonight. Lomborg came of really well as a realist with rational, well thought out ideas on the problems we face. Instead of spending money on Cap and Trade, let’s spend it on real problems we have a good chance at solving or at least impacting. What I liked was how when North tried to play the “it’s just academic talk about tricks” line it came across to me like he was sucking on a lemon, but then they went back to Ross where he stated they can’t just play it off because it’s not the trick part thats damming its the hide the decline part, which if you noticed North didn’t go anywhere near. The closest he got was its a trick to handle a problem. Yeah you can say it’s a problem when your treemometer reads the opposite of the thermometers. It was on Fox News Channel, not the Fox Network. Different operations. You can’t cover the elaborate hoax of global warming with a 1 hour program. They went over the leaked emails and that’s about it. What they need to do is produce a 10 part (at least) series. I’d like to see them do a show debunking Gore’s “An inconvenient Truth”. And it’s rather hypocritical of Markey to be complaining about the cost of imported oil, when he’s done everything he can to hamstring US oil production. I thought FNC bent over backwards to be fair and balanced. Many warmist views were included and Mann and Jones ducked it. To the critics above, next time you might watch the darn show before you pop off about how biased FNC is. Not sure but what they gave the “doubters” unfair advantage by using that pic of Mann which made him look so beady eyed. CNN was running Planet in Peril during the same time slot. Anderson Cooper sadly reporting on the alarming melting of Greenland, the imminent submergence of certain of the Solomon Islands (with shots of washed-out gardens), the devastation of forests in Peru, the usual about polar bear cubs, etc. Very moving. You can tell Anderson really cares. Yes, his lips were moving. Email Fox News and ask for more. “special@foxnews.com” Let’s face it, no other TV network is going to cover this thing. I thought they did a reasonably good job on the show. I wrote and asked them to include Lindzen in a future broadcast. I’d love to see Anthony Watts on the next one also. Starbucks Hypothesis – I can relate to that. I once met an anthropologist who wrote a university thesis and an article for a well respected international magazine from the bar in a hotel. The thesis was supposed to be written up on a subset ethnic group in a Asian country. Said anthropologist interviewed the bar girls who happened to be members of that particular ethnic group – that was his field work. Didn’t bother to go up country to location. I’d love to see Anthony Watts on the next one also. I agree because they said nothing about UHI/land use, or about station placement. Both are ‘manmade’. If it’s not posted on the web, it might as well not exist as far as many will be concerned. On AGAIN at 10pm mtn time. Yeah, he”s got that permanent look of worried concern down very well. I’m going to look to see if his wrinkled forehead ever moves. I wonder if botox could do that, too – freeze furrows in place so they never flatten at all, but maybe it’s just him. “trick”, which shouldn’t have been too difficult. Maybe they think the average viewer wouldn’t quite recognize spaghetti graph tails for what they are? Or that a near full-screen blow up would frighten people or that Fox would be accused of using “shock value”? I’m not worried about McIntyre at all. just had to download Microsoft Silverfox to view. Great show, gave opposing viewpoints, and Brett Baer came across as a good unbiased interviewer who asked the relevant questions of both sides. Now then, as someone posted earlier, the guy who made the claim that the Arctic Cap was still retreating walked out on a limb. Journalists are going to love that one. Caught on tape. Try out thier Mt. Shasta glacial bait and switch explanation for size. Can’t miss it, and it’s growing. Jones and Mann pulled the “hide the decline to be interviewed” trick, no surprise there. Senator Inhofe deserves all the letters of support we can give him. This is a beginning. Let’s not stop here. Let’s develop some of the themes that were exposed, but not defined. Even though this represented an hour of film, it is no where near enough to get a significant part of the info out. But it did establish a baseboard from which to start. We need to find a way to advance this thinking. A way consistent with this site. Does someone want to volunteer and come back with some posts that FOX could run with? Clearly the Team is running scared back to CNN, but even that won’t last indefinettly, especially when the truth of the matter does not lie with them. Interesting to see the Cons (skeptics) won the day as they managed to swing the vote in their direction. Pre debate the AGW side (for lack of a better description) had 61% and post debate they were whittled down to 53%. That´s a decent sized swing, given how firmly most people cling to their AGW beliefs. We should be grateful that FNC is there for us. When you find yourself in a bar-room brawl, you don’t want to be sitting with the chess club. Many brilliant scientists don’t present their ideas well. Humans should never give weight to the confidence of any debater’s delivery, but we do. As this topic gets further along, we need strong personalities defending rational thought. Having some of those Fox guys question you is like trying to reason with a Pit Bull. There will be no place to hide. But we need to get all the sordid details out in the open. IFO don’t care if it isn’t pretty. Is this the fox piece? Coming from the UK, I can’t get to see Fox News. Can anyone put it up on youtube? Fox needs to do at least a two-hour doc on such a subject to be more comprehensive and thorough. I could swear I heard Lomborg say that Obama committed to a 2 deg C decrease in mean global temps. My understanding is that Obama wants to limit the putative increase to 2 deg C. Am I imagining things? Wahey, it’s all up, click on ‘more from this user’. Right click the above link and select ‘view on youtube’. Inhofe said he believes in global warming. At least he wants to stop Cap N Trade. I heard him say he wants to stop it because of the taxes it would put on his grandchildren—giving the same line of reason as Al Gore—for our grandchildren. It would be nice if he’d say he wants to stop Cap N Trade because there is no science showing man can control climate. McIntyre and Inhofe both said they believe in global warming. The earth is cooling. Lomborg… Am I imagining things? There’s ALLLL KINDS of misunderstandings in ‘global warming’. Lomborg probably has it wrong Obama. You probably have it right about him. But who knows because just when you think you have it right then the politician says something else. Lomborg is a believer in manmade global warming. McIntyre believes in global warming but he’s skeptical about the Hockey Stick. Neither one are scientists. This is why I said in an earlier comment I wish they would have had more scientists on the show. If they wanted to talk science they should have had scientists on—Lindzen, Svensmark, Spencer, etc…..
Steve McIntyre is a box of chocolates…..
Steve also said he didn’t know whether it was a big, medium or small problem. ” but my work has a relatively narrow focus”, which got edited out. The program editor was aiming for some balance, and given the opposition didn’t turn up to defend themselves, he got it by a bit of selective editing of his interviewees. Not perfect, but on balance, good. Mann is in a heap of trouble. It was the best presentation of the issues I’ve seen on TV, which is saying something (if not a lot). It was doubtless a revelation to people who don’t frequent sites like WUWT. Not only is the hypothesis of anthropogenic CO2 causing ‘global warming’ not verified (and not verifiable), the evidence increasingly suggests that there has been NO WARMING for the past century. And by the way, commentators above: Please lose the “So-and-so believes in global warming” locution. Science is not a matter of belief. It’s all about the evidence. And the evidence for warming is inexcusably tainted, and probably wrong. They could both be right. It depends on the trend they’re talking about; the starting & end points of the trend, and the length of the trend. I personally think the planet is warming slightly as a function of its emergence from the Little Ice Age, and from the last great Ice Age before that. But any warming happens in fits and starts, and the natural slight upward trend is overlaid by a stronger natural fluctuation, with the climate oscillating both above and below the long term trend line on a multi-decadal scale. We could be entering a cooling phase, beginning 7 – 8 years ago. My concern is not whether there are natural cycles at work. The climate is always naturally varying. My concern is with the hypothesis claiming that CO2 causes measurable warming. Skeptics require solid empirical evidence of that before they accept the CO2=AGW hypothesis. So far they have provided zero evidence, therefore it is equally plausible that the temporary, concurrent rise in CO2 and temperature is entirely coincidental. It may also be the case that CO2 causes slight warming, but that its effect is so small that it can be entirely disregarded for all practical purposes. The terms used in the AGW debate must be precise, and the warmist side always forgets that. They routinely cite GCMs as ‘evidence.’ But computer models are not evidence, they are a tool – and not a very accurate tool at that. 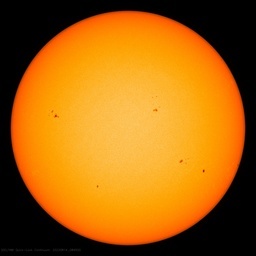 GCMs fail the basic test of being able to accurately predict the climate. Using an input containing all available past climate data, no GCM has been able to accurately predict today’s climate. Yet they point to computer models as their ‘evidence’ that a rise in CO2 causes global warming. “Evidence” refers to real world [empirical] data. A signed and dated daily record of a mercury thermometer reading, taken from a Stevenson screen in a proper location and covering a sufficient period of time is an example of empirical evidence. But significant portions of that evidence seem to be missing. Whether it was lost, destroyed, or is from badly sited surface stations makes much of the raw data used questionable at best; the evidence is flimsy. Empirical raw data is the crux of the entire debate. The AGW hypothesis, which has already cost multi-billions of dollars, is based on the assumption that CO2 causes significant global warming. And it is all based on questionable or missing data. The one-third rise in CO2 since the mid-1800’s, is generally concurrent with a fraction of a degree of global warming [which may or may not be real, but I accept that it probably is – but with some skepticism due to sloppy record keeping]. The concurrent rise in temperature and CO2 could just as well be coincidental. The alarmist crowd has pointed to that coincidence as proof that the rise in CO2 caused a global rise in temperature. Occam’s Razor favors the coincidental explanation. Their only explanation for the past decade’s CO2/temperature divergence is that somewhere there is hidden ‘heat in the pipeline’ that is being stored, which will emerge at some point and cause runaway global warming. But no one can show where that putative heat is located. It is simply a conjecture, invented to support the increasingly shaky CO2=AGW hypothesis. When the climate alarmists provide evidence that a rise in CO2 causes a rise in temperature, they will win over many scientific skeptics. But so far, they have provided no credible evidence. After the $Billions spent, that failure is hard to explain. Just another front in the Cold Civil War. I think it is time to call NOAA on the carpet for fiddle fartin around with station data and post both raw and adjusted data along with the code used to do so. All that stuff is in our backyards, not at the Met office, literally, and if they want those stations in our backyards to continue working, we should have some say on what we get out of it. I am writing to my representatives to apply pressure on NOAA to do just that. Mann was too busy “debating” Sarah Palin. Overall I was impressed with the show, since it asked a lot of questions and demonstrated that NOBODY really knows the answers. Until we can state with any degree of certainty WHY there was an LIA or MWP, it is ridiculous to suggest that we understand what tiny variations in CO2 could possibly do. To many people, this was among the first things they have seen that even legitimately questions the cAGW orthodoxy, therefore throwing the whole debate at them would be pointless. The biggest thing that Climategate has given us is the ability to show the average Joe on the street that THERE IS A DEBATE. The success of the “science is settled” crowd is shameful… not only is the science NOT settled, but it tells people to sit down, shut up, and listen to what WE tell you. Slowly slowly catch the monkey. This will take time, but overall truth will win out. As I have been saying for a while… however, even here at WUWT that sometimes gets a “pffft”. The record is tainted and unusable. Until it is restored or corrected, or thrown out and restarted, there is no credible evidence upon which to base Science, and certainly not upon which to base policy.